I know..it annoys me the same way it annoys you, but I don’t think there’s any way to get rid of it, permanently. There is a quick cure though, because it happens only when you open a project in Visual Studio that has its configuration set to x64 or ARM, so you can easily undo it with setting it to something that Blend does not windge about. In my case I end up with this frustrating information presented to my face, when I try to deploy my app to the device (phone). I set up my build configuration to ARM, I finish my day of work, close everything, restart my machine, go home, and the next day I show up in the office, I open up VS and then Blend and then start..Boom! 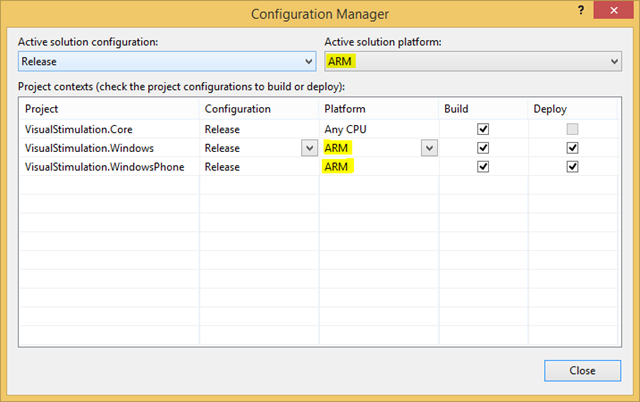 Design view is unavailable for x64 and ARM target platforms. 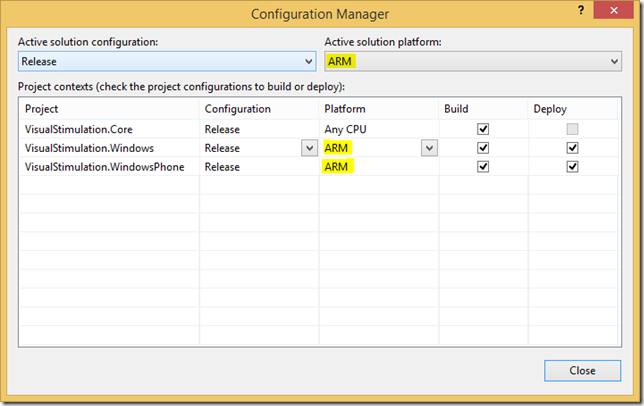 Now, re-open your project in Visual Studio and after VS is up and running re-open your project in Blend. Now your nightmare should be gone, and you should be able to design some cool stuff for your app in Blend for Visual Studio. The other day I got prompted or just checked that update for my Windows Phone 8.1 is available. I wasn’t thinking much and just clicked Update. Everything when smoothly, no problems with installation whatsoever.